Award: Honorable Mention - Category: Painting - Artwork: "Squeesh"
Award: Honorable Mention - Category: Painting - Artwork: "Self Portrait"
Award: Honorable Mention - Category: Painting - Artwork: "Orlee"
Award: Honorable Mention - Category: Painting - Artwork: "Life In A Bubble"
Award: Honorable Mention - Category: Painting - Artwork: "Appreciation"
Award: Silver Key - Category: Mixed Media - Artwork: "APPLEaling"
Award: Honorable Mention - Category: Painting - Artwork: "Refuge"
Award: Gold Key - Category: Mixed Media - Artwork: "Light At The End of The Landscape"
Award: Honorable Mention - Category: Painting - Artwork: "Mind Games"
Award: Honorable Mention - Category: Painting - Artwork: "Toxic Ego"
Award: Gold Key - Category: Painting - Artwork: "Curiosity Killed The Koi"
Award: Gold Key - Category: Painting - Artwork: "Human Bound"
Award: Honorable Mention - Category: Painting - Artwork: "Age: A Life Lived"
Award: Honorable Mention - Category: Painting - Artwork: "Mixed Perspective"
Award: Honorable Mention - Category: Painting - Artwork: "The Inescapable"
Award: Silver Key - Category: Painting - Artwork: "Human Instinct"
Award: Honorable Mention - Category: Painting - Artwork: "Drowning In Oblivion"
Award: Honorable Mention - Category: Painting - Artwork: "Split"
Award: Honorable Mention - Category: Architecture - Artwork: "Floor Plan"
Award: Silver Key - Category: Mixed Media - Artwork: "Picking Emotions"
Award: Honorable Mention - Category: Fashion Design - Artwork: "Unconventional Materials"
Award: Honorable Mention - Category: Fashion Design - Artwork: "Yellow Summer Dress"
Award: Honorable Mention - Category: Painting - Artwork: "Unicorn Sunset"
Award: Honorable Mention - Category: Drawing & Illustration - Artwork: "Deep In Thought"
Award: Honorable Mention - Category: Mixed Media - Artwork: "Natural Beauty"
Award: Gold Key - Category: Painting - Artwork: "Beggar"
Award: Honorable Mention - Category: Architecture - Artwork: "Burj Al Arab"
WE ARE SO PROUD OF OUR WINNERS! Congratulations to Freshman Jack Henry Applebaum and Junior Ben Basaleli for earning medals in this year’s Al Kalfus Long Island Math Fair! Jack earned a Bronze medal for his research on Game Theory, and Ben earned a Silver medal for his research on Boat Stability. Awesome job! North Shore has 3 Al Kalfus LI Math Fair 2018 Semi-Finalists! 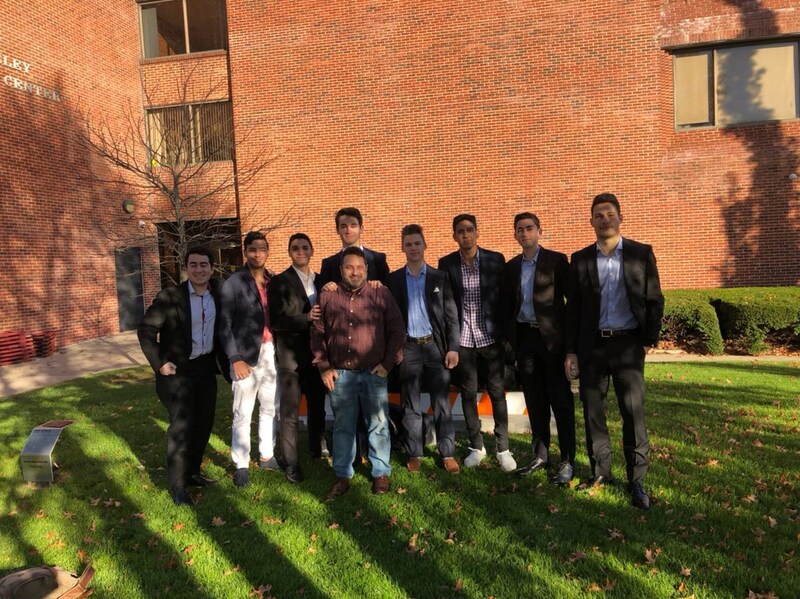 Congratulations to Freshman Jack Henry Applebaum and Junior Ben Basaleli on advancing to the final round of competition in the Al Kalfus Long Island Math Fair! Jack researched and proposed various applications of Game Theory, and Ben proposed solutions for improving boat stability. 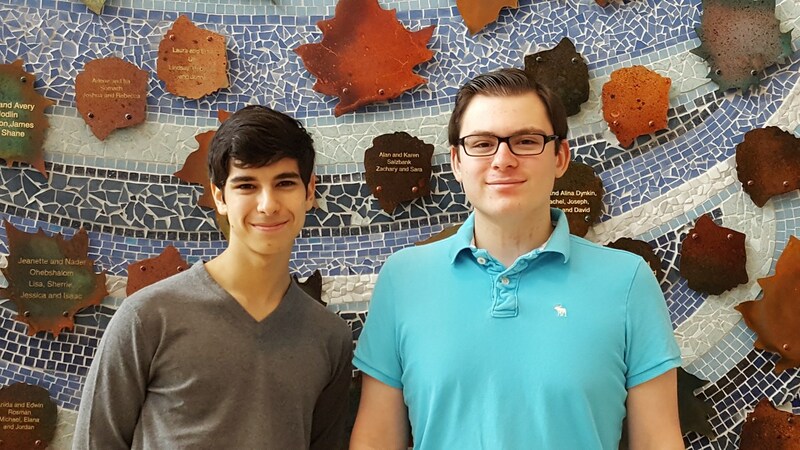 Both students will join Senior Ben Gilman in the final competition held at Hofstra University this April. 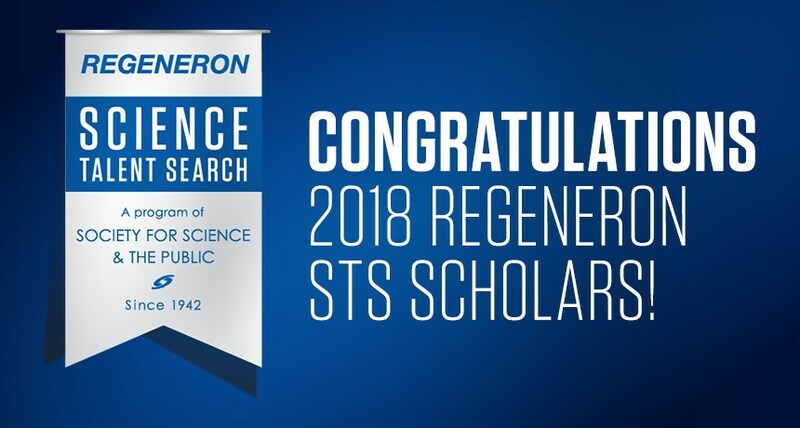 North Shore Senior Scott Soifer is a Regeneron Science Talent Search semi-finalist! 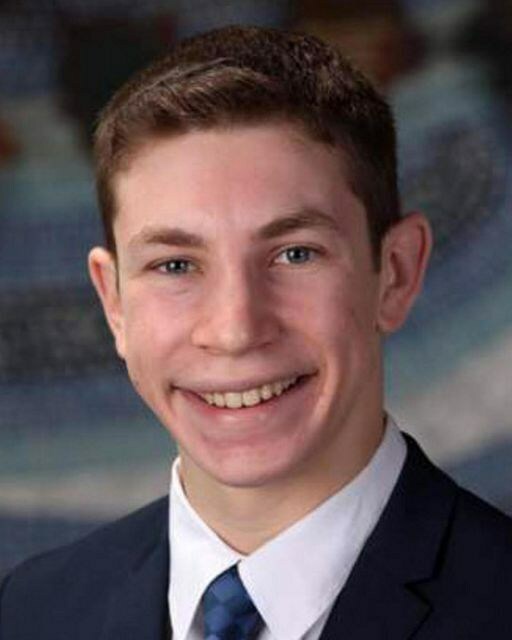 Scott is the only Yeshiva student out of the 300 semi-finalists from across the U.S.
Each scholar, selected from 1,818 entrants, receives a $2,000 award with an additional $2,000 going to his or her respective school, resulting in $1.2 million in total scholar awards from Regeneron. For the competition, Scott submitted a research paper on his now-patented invention: the Vehicular Heatstroke Prevention System complete with diagrams and supporting research. 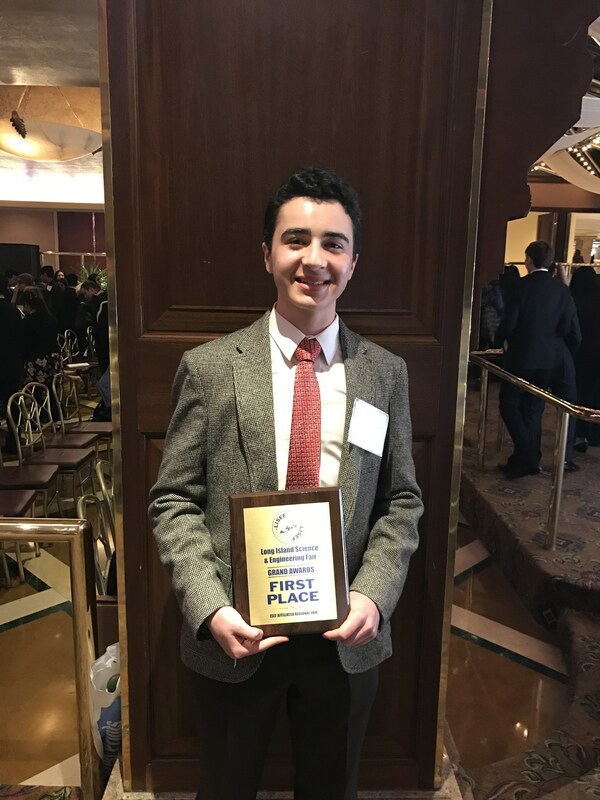 In addition, it took Scott almost one month to complete the application process that also included having to write fifteen essays answering Regeneron’s specific questions using a pre-defined word count outlined by the competition. 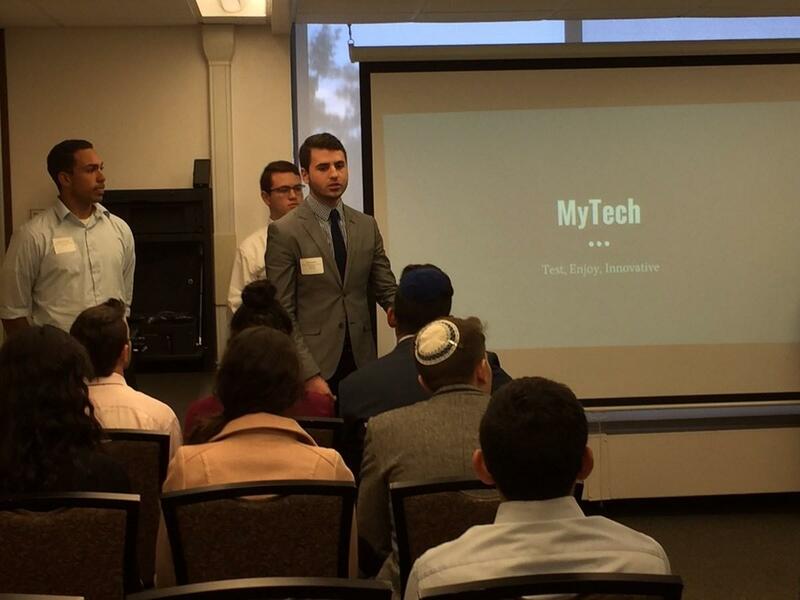 Some of the questions asked him to describe himself as a researcher, how he came up with the idea for his invention, whether he did it alone (in fact he did, in his home garage, with some cursory help from both Dr. Runco and Mr. Weinberg as his project mentors), what awards he has received and what his future plans are. A little history of his Regeneron and awards journey - back in the ninth grade, Scott was doing invention research by looking for problems to solve. He found that many children, pets and elderly are dying or suffering grave injuries due to being left in overheated vehicles. He then discovered that currently only reminder systems exist, but by then, it could be too late to avoid injury. Scott is now waiting to find out if he will be one of the 40 finalists chosen to compete in Washington, D.C. in March. The finalists will be announced on January 23rd. 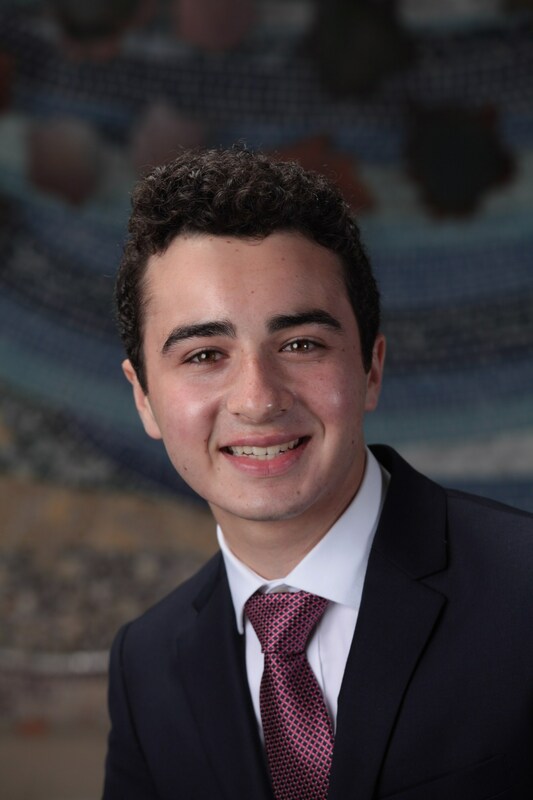 If he is selected as a finalist, he will receive a $25,000 scholarship award plus an all-expense paid trip to Washington, D.C. Should he make to the top spot – and of course we are all cheering for him – he would receive the grand scholarship sum of $100,000! Woo hoo! Go Scott! 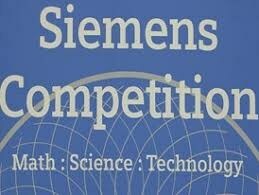 BUT 2 SIEMENS 2017-18 COMPETITION SEMI-FINALISTS! The title of Jason Kurlander’s project is “Characterizing In Situ mTG Crosslinked Gelatin Hydrogels with Encapsulated Dental Pulp Stem Cells for Cell Delivery in Applications of Regenerative Medicine”, performed at Stony Brook University at The Garcia Center for Polymers at Engineered Interfaces, under the mentorship of Dr. Pinkas-Sarafova. Dylan Makani conducted his research, titled “Mitigation of TiO2 stress and characterization of a putative Brassinosteroid Insensitive-1 gene in Lemna minor”, through the iResearch Institute Summer Research Program. Read more in the Newsday and other links below! Research Project: "Characterizing In Situ mTG Crosslinked Gelatin Hydrogels with Encapsulated Dental Pulp Stem Cells for Cell Delivery in Applications of Regenerative Medicine"
Research Project: "Mitigation of TiO2 stress and characterization of a putative Brassinosteroid Insensitive-1 gene in Lemna minor"
We are proud to announce that three North Shore Seniors have been named as Commended Students to the 2018 National Merit Scholarship Program. 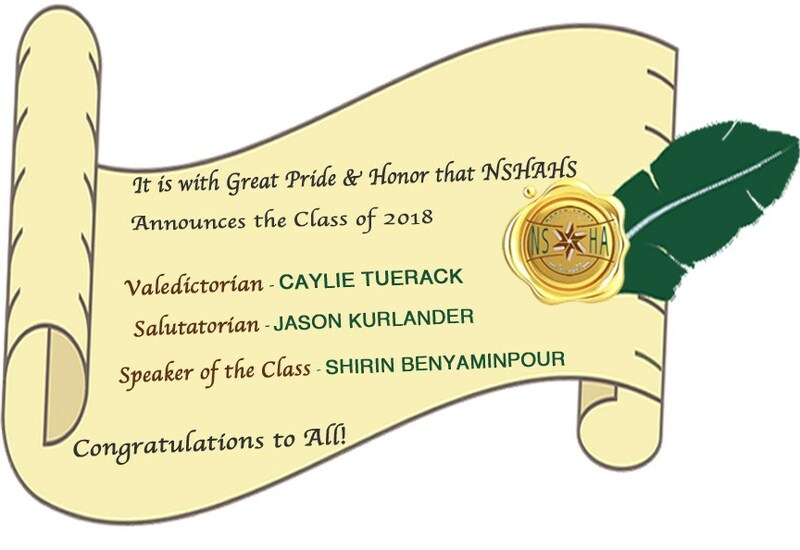 They are being recognized for the exceptional academic promise demonstrated by their outstanding performance on the qualifying test used for program entry that was taken by over 1.6 million students nationwide. 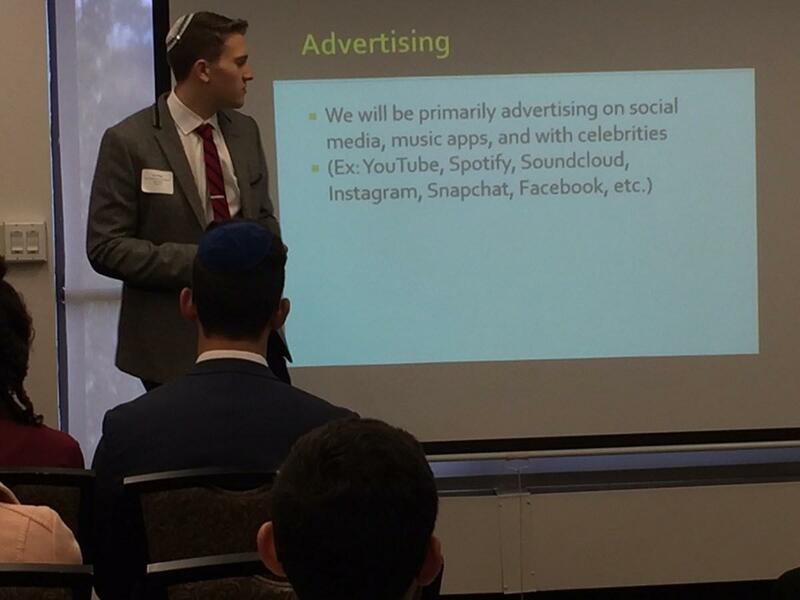 Jason Kurlander, Noah Oberstein and Ben Gilman! 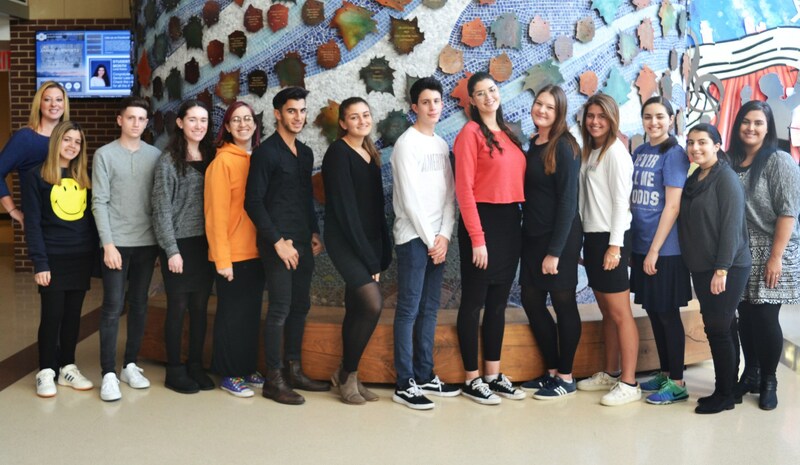 NSHAHS Takes 3rd Place in Israeli Day Parade Contest! 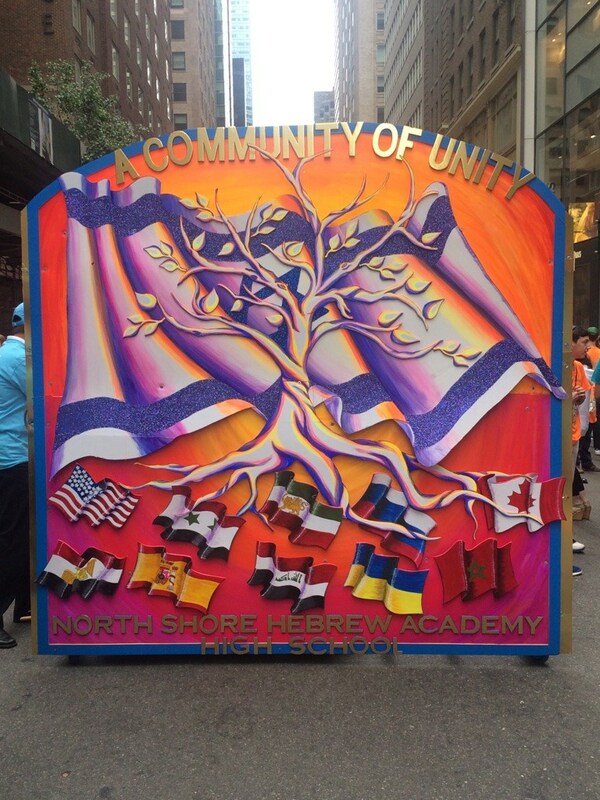 The Celebrate Israel Parade Contest Committee has finally come to a decision and North Shore Hebrew Academy High School has taken 3rd Place! The students worked on the banner, in stages throughout the school year! Congratulations to all those who worked so hard to make it happen! 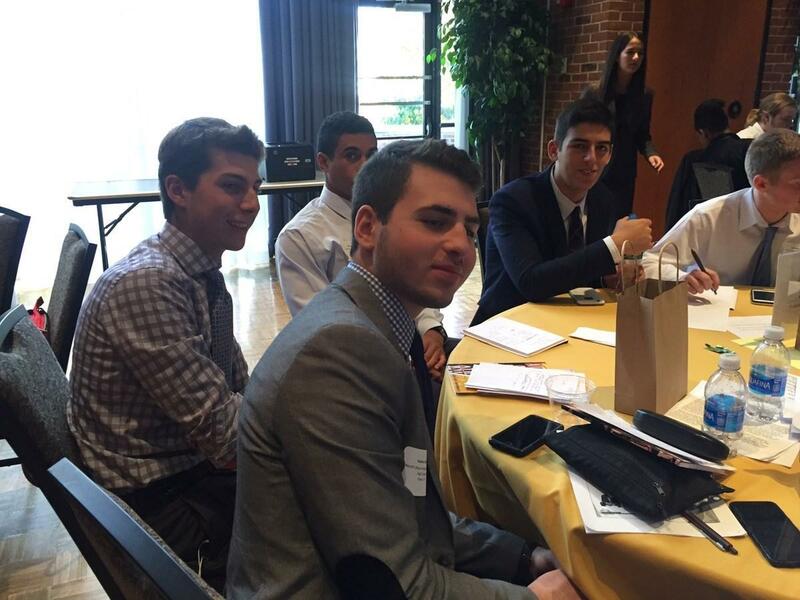 1st: Yeshivat Noam and Yavneh Academy are tied for first place. 2nd: Solomon Schechter of Bergen County and Yeshiva Derech Hatorah were also tied! Congratulations to the student poets! 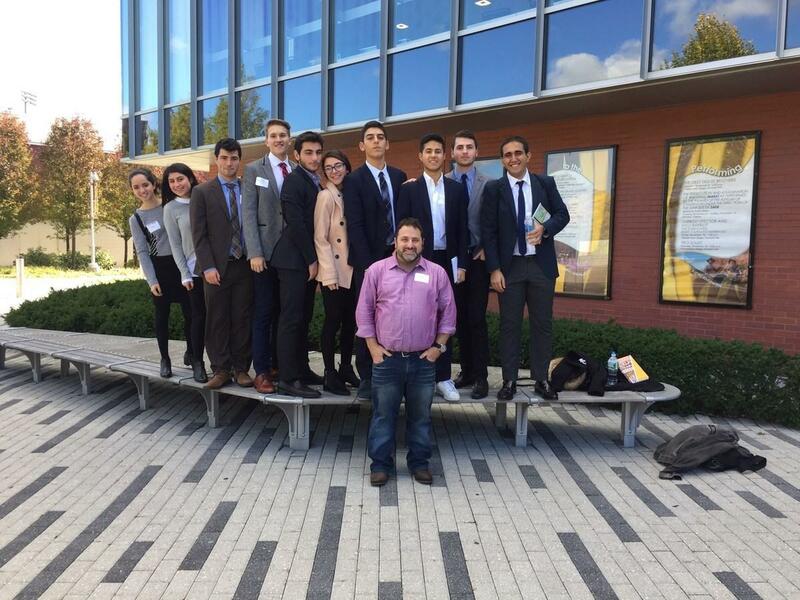 NORTH SHORE WINS BIG AT ANNUAL WALT WHITMAN POETRY COMPETITION! 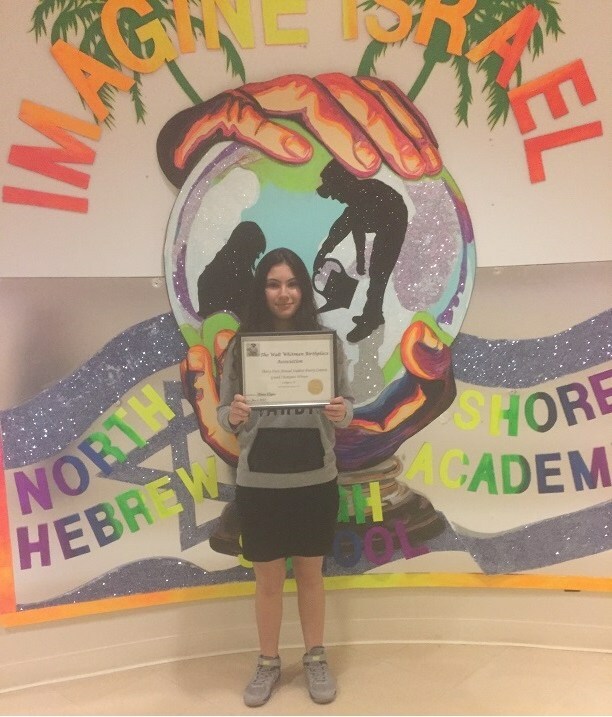 Congratulations to Hadar Leybov for being selected as Grand Champion in the Individual Poem Category out of nearly 3,000 entries! Congratulations to Elad Elazar for being selected as a Winner in the Individual Poem Category! Congratulations to Mrs. Zabinsky's 10th period class for being selected as Grand Champions in the Class Anthology Category out of over 2700 entries! And finally, Congratulations to Mrs. Zabinsky's 1st period class for being selected as a Winner in the Class Anthology Category! 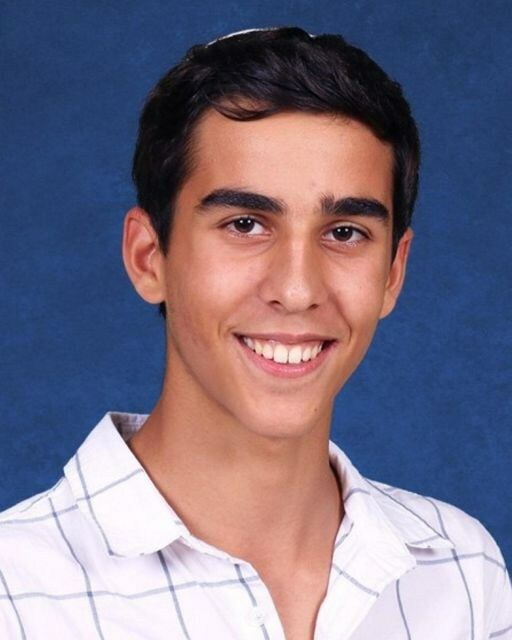 Sophomore Ethan Abizadeh was awarded Honorable Mention in Environmental Science at the SAAWA Science Competition on April 23rd. Ethan's work examined "The Effects of Electromagnetic Fields on Fruit Fly Reproduction Rate." Dr. Lisa Runco primarily works with Juniors and Seniors, but if a 10th grader has a project that can be advanced to senior level competitions, competition is ON! Excellent work Ethan! 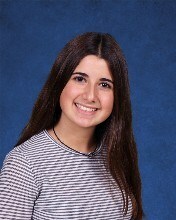 Sophomore Eden Schneck has been invited to intern during Summer 2017 in the laboratory of Dr. David Thanassi, Ph.D., Professor and Interim Chair of the Department of Molecular Genetics & Microbiology, Center for Infectious Diseases at Stony Brook University - School of Medicine. Amazing Update!! SCOTT SOIFER Takes 1st Place at LISEF!! Long Island Science & Engineering Fair. 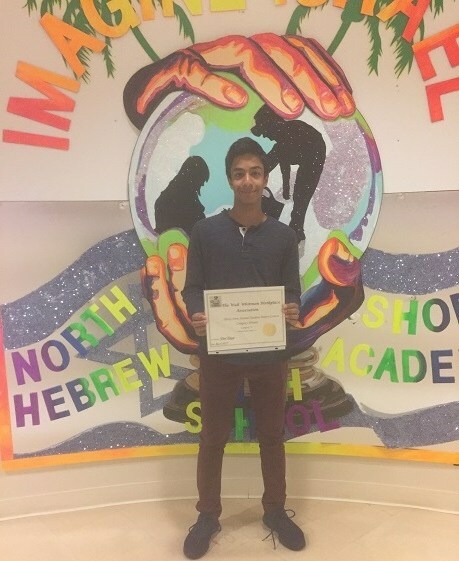 He now heads to the International Science and Engineering Fair (ISEF) in California!!! 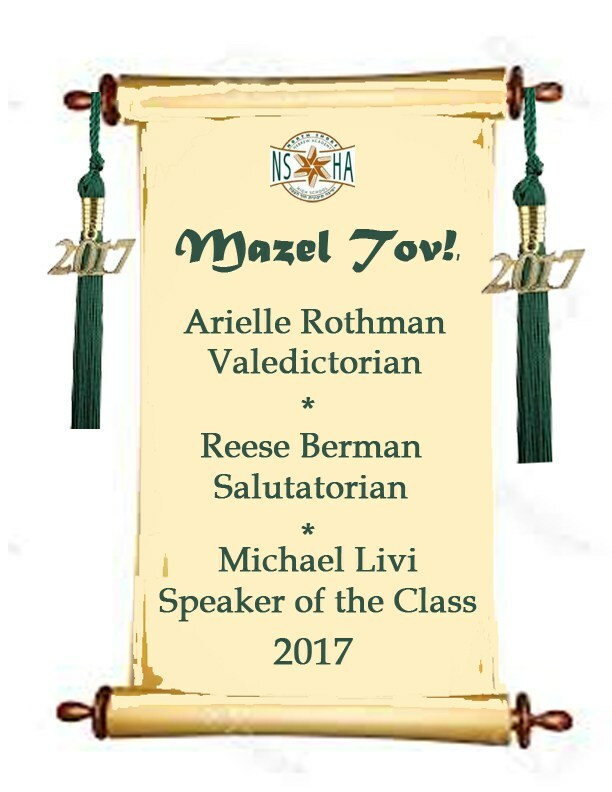 Mazel Tov to Scott Soifer! 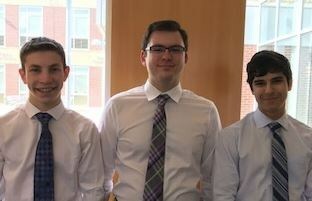 "The Heat Free Car - Vehicular Heatstroke Prevention System"
Congratulations to our JV LISEF Finalists! accommodated at the LISEF competition is limited leading to the creation of the JV Fair providing an additional opportunity for students to compete. The projects in this fair range from proposal and literature review projects, to students who have complete work in university laboratories serving as a stepping stone in their research career. 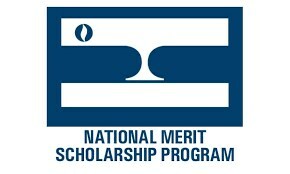 Students are judged by science and math teachers, and compete in eight categories: Behavior and Social Sciences, Cellular and Molecular Biology, Chemistry, Engineering and Physical Sciences, Environmental Science, Math and Computer Sciences, Medicine and Health Sciences, Plant Science. Ben Basaleli received 2nd Place in Engineering. Danielle Ryba received Honorable Mention in Engineering. 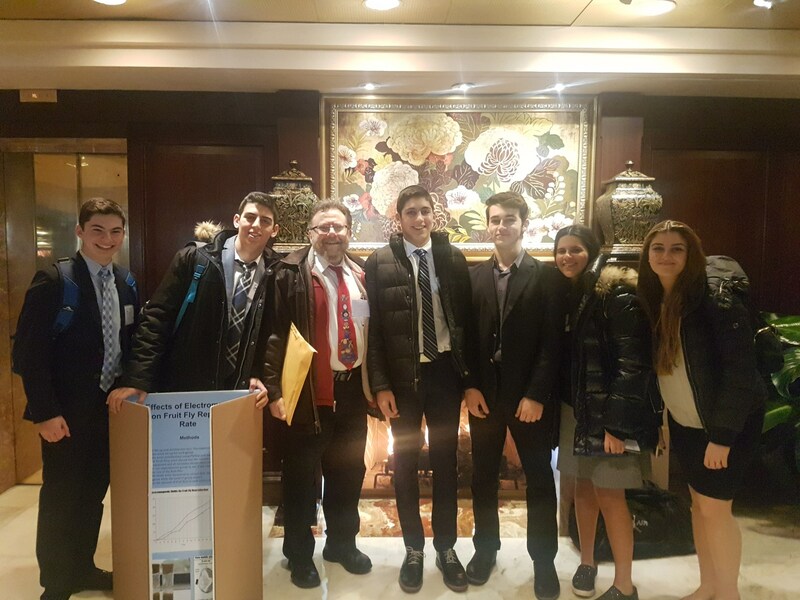 On Sunday, March 19, 2017, twelve North Shore students participated in the annual Yeshiva Science Olympiad held at Landers College in Flushing, New York. The students, along with Mr. Wykes, Mr. Suchmann, Mr. Weinberg, Mr. Weeks and Mr. Kratchman, prepared for months in anticipation of this competition. 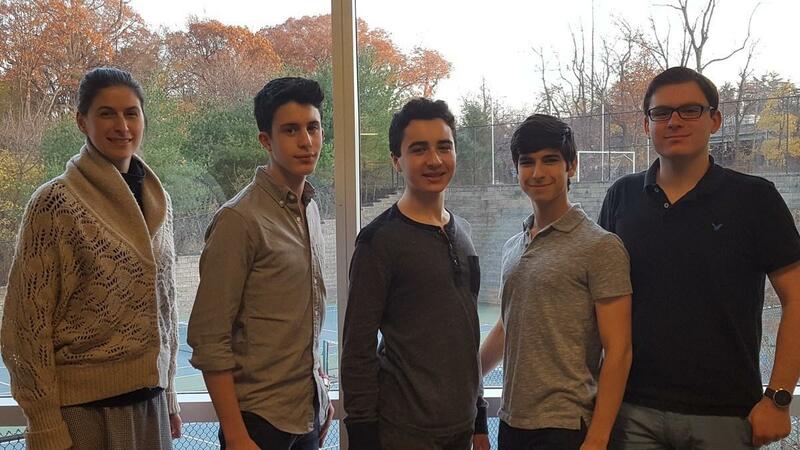 North Shore competed against over 150 students from 13 different Yeshivot. The competition consisted of 15 different categories, each from a different field of science, including towers, electric vehicles, chemistry and ecology. 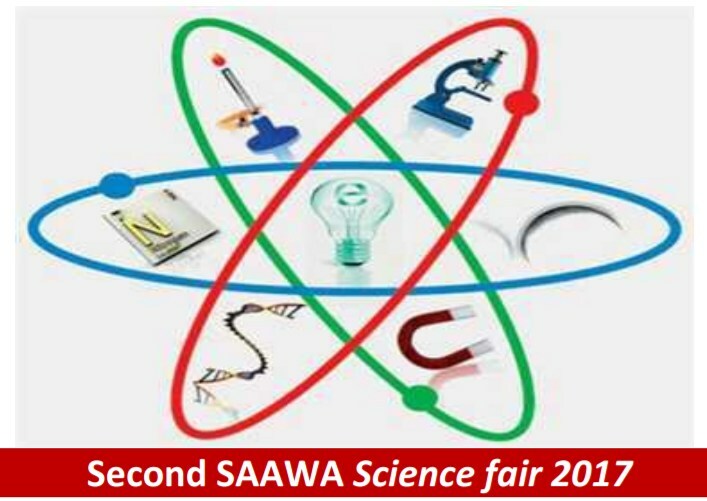 Students enjoyed both the educational and social aspects while showing off their scientific prowess. 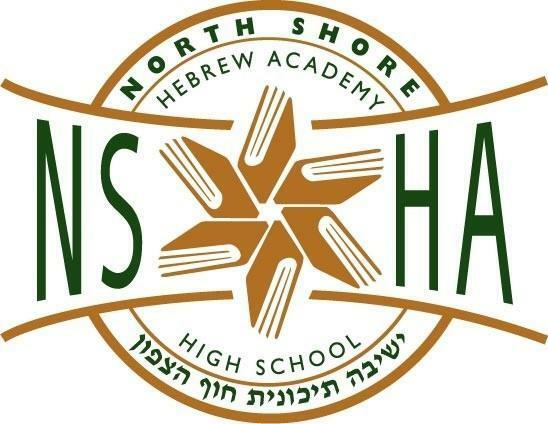 Olympiad competitors were required to demonstrate not only general knowledge in their particular area of science but also out-of-the-box creativity resulting in a very successful day for the North Shore Hebrew Academy in terms of awards. Medals were given to the students who won from first through fourth place in each category. Chemistry Lab - Bronze medal 3rd place - Well done Yair Atlas and Justin Zion! Ecology - Silver medal 2nd place -- Well done Dalia Etessami and Sophie Goldman! 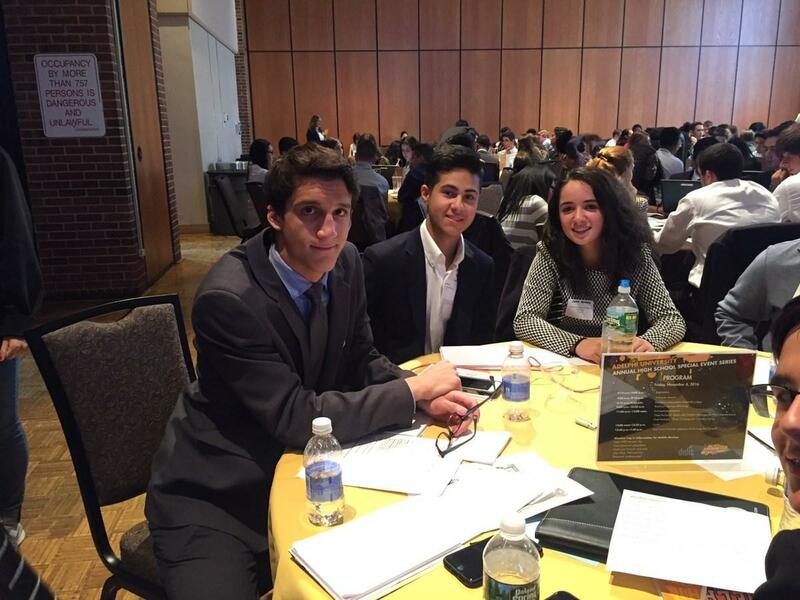 Towers - Bronze medal 3rd place — Well done Menachem Rabizadeh and Ruben Prawer! Congratulations! It was a great day for all of the students who attended the competition! Conrad Spirit of Innovation Challenge* Finalists @ NSHAHS! The amazing team of juniors Ben and Noah has done it again! category of Cyber-Technology & Security. 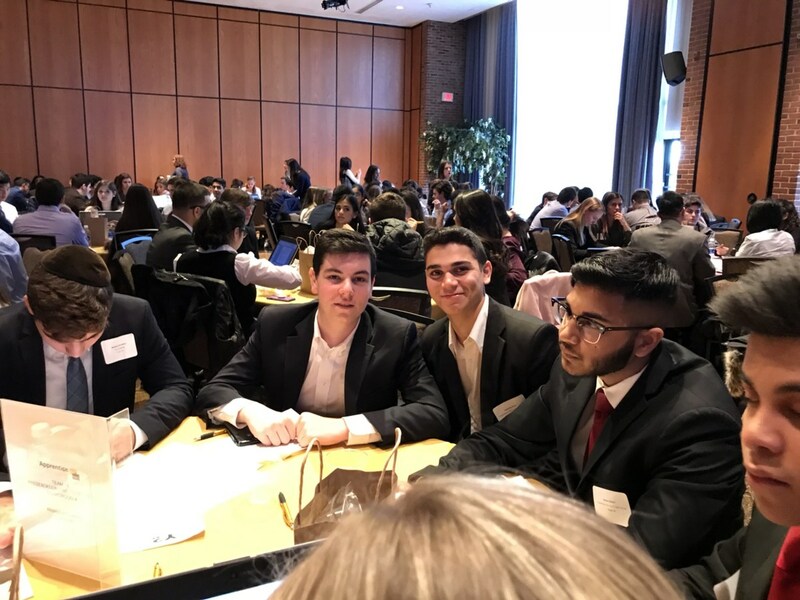 With the amazing guidance of North Shore's Dr. Lisa Runco, juniors Ben Gilman and Noah Oberstein made it through the first two very challenging selection rounds with flying colors. 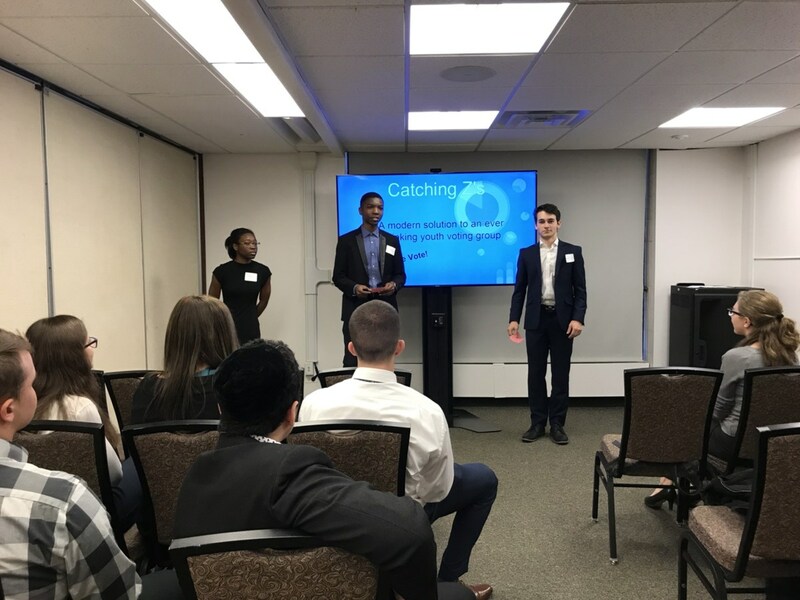 The first round included a short introductory video, the second round a full-length video and detailed paper outlining how to start their business; complete with a marketing and financial plan to get their new anti-phishing App from the planning stage to reality. 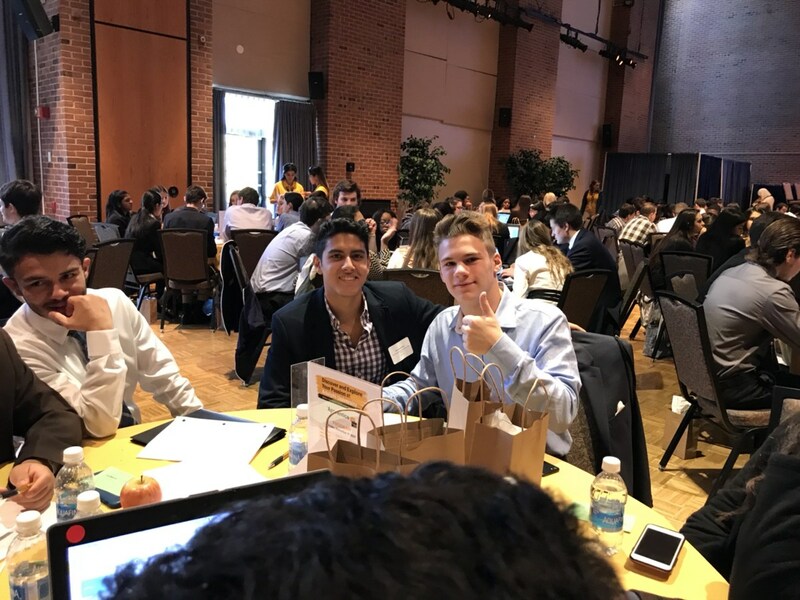 Ben and Noah have been invited to the Spirit of Innovation Summit for the Final Round 3 Competition where they will present their business concept to a panel of judges. As an international competition, Ben and Noah will be competing with students from various states in the USA to Thailand to Australia. Their team’s business plan scored in the top 10% percent of the submissions in their category, Cyber-Technology & Security. Their team name is BNGO Tech, and they created an app called PhishNet, which is a community-driven computer application to prevent phishing. What a great opportunity! Kennedy Space Center in Cocoa Beach, Florida!! Ben is a big fan of science research, competes on the Math Team and Tennis Team. and the Computer Science Club. 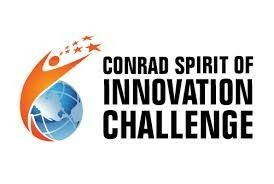 * The Conrad Spirit of Innovation Challenge is an international competition founded by Nancy Conrad in honor of her late husband, astronaut, innovator, and entrepreneur Charles "Pete" Conrad, Jr. The Conrad Challenge is an annual, multi-phase innovation and entrepreneurial competition that brings together a dynamic community of young innovator in a collaborative movement to develop extraordinary and viable solutions to benefit our world in four areas : Aerospace & Aviation, Cyber-Technology & Security, Energy & Environment, and Health & Nutrition. Congratulations!! SCHOLASTIC COMPETITION WRITING AWARD WINNERS 2017!! Congratulations!! SCHOLASTIC COMPETITION ART AWARD WINNERS 2017!! The students who participated are in Pre-AP Art, AP Studio Art, Fashion Design and Architecture classes. Harrison Berger - Award: Silver Key: Category: Drawing and Illustration - Artwork: "Rose-colored Glasses"
Award: Honorable Mention: Category: Drawing and Illustration - Artwork: "Angels"
Reese Berman - Award: Silver Key: Category: Drawing and Illustration - Artwork: "The Bigger Picture"
Award: Gold Key: Category: Drawing and Illustration - Artwork: "Emotional Extremes"
Arielle Goldschmidt - Award: Silver Key: Category: Drawing and Illustration - Artwork: "One of A Million"
Award: Honorable Mention: Category: Drawing and Illustration - Artwork: "Uncheerful"
Alexandra Iskhakov - Award: Silver Key: Category: Fashion - Artwork: "Cocktail Dress"
Emma Kamagi - Award: Honorable Mention: Category: Drawing and Illustration - Artwork: "Broken Dancer"
Gabriella Kafash - Award: Silver Key: Category: Mixed Media - Artwork: "Forced Perspective"
Award: Gold Key: Category: Painting - Artwork: "Surreal Jellyfish"
Mayan Khakshoor - Award: Honorable Mention: Category: Painting - Artwork: "Unseen"
Gavriella Grossman - Award: Silver Key: Category: Drawing and Illustration - Artwork: "Reflection"
Jack Tajerstein - Award: Honorable Mention: Category: Drawing and Illustration - Artwork: "Up Close and Personal"
Nazanin Reyhanian - Award: Silver Key: Category: Fashion - Artwork: "Yves Saint Laurent Inspired"
Joshua Yushuvayev - Award: Two Silver Keys: Category: Fashion - Artwork: "Fashion Portfolio"
Award: Honorable Mention: Category: Fashion - Artwork: "Fashion Portfolio"
Dalia Etessami - Award: Gold Key: Category: Painting - Artwork: "The Colors of Freedom"
Ariella Apelbaum - Award: Gold Key: Category: Architecture & Industrial Design - Artwork: "EMP Museum"
Sam Dweck - Award: Silver Key: Category: Architecture & Industrial Design - Artwork: "The NYU Library"
Benjamin Musheyev - Award: Silver Key: Category: Architecture & Industrial Design - Artwork: "My Dream House"
Hirum Gindi - Award: Silver Key: Category: Architecture & Industrial Design - Artwork: "Dream Home"
Neil Safdie - Award: Silver Key: Category: Architecture & Industrial Design - Artwork: "Bridged Jenga Building"
Aliza Perlmutter - Award: Silver Key: Category: Fashion - Artwork: "Micheal Kors Inspired Fashion"
Yoav Toledano - Award: Honorable Mention: Category: Architecture & Industrial Design - Artwork: "Interior Commercial Perspective"
Also thank you to Dr. Lisa Runco, faculty member of our Science Research team for her excellent instruction and mentorship. 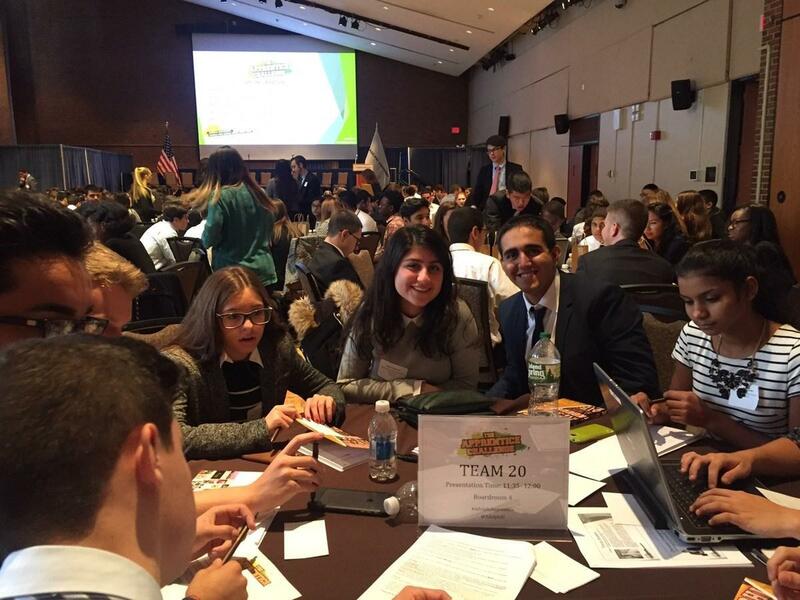 For the 2nd year in a row, two of our students, Junior Sam Yunatanov and Senior Sarah Natanov, were on the winning team of Adelphi Apprentice, beating out 240 competitors. Click on the link below and read all about their win!! Al Kalfus Math Fair 2017 Medal Winners! 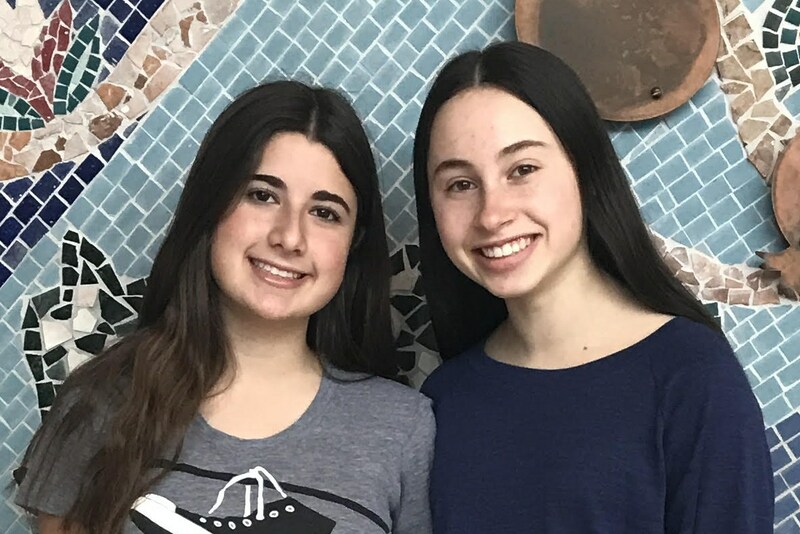 Congratulations to North Shore Sophomores Eden Schneck (left) and Sophie Goldman (right) on winning medals in this year’s Long Island Al Kalfus Math Fair! Eden earned a Gold medal for her research on the application of Biostatistics to determine how prevalence of disease affects the predictive value of lab tests in the Zika virus. Sophie earned a Bronze medal for her research on Graph Theory and its application in online social networks.